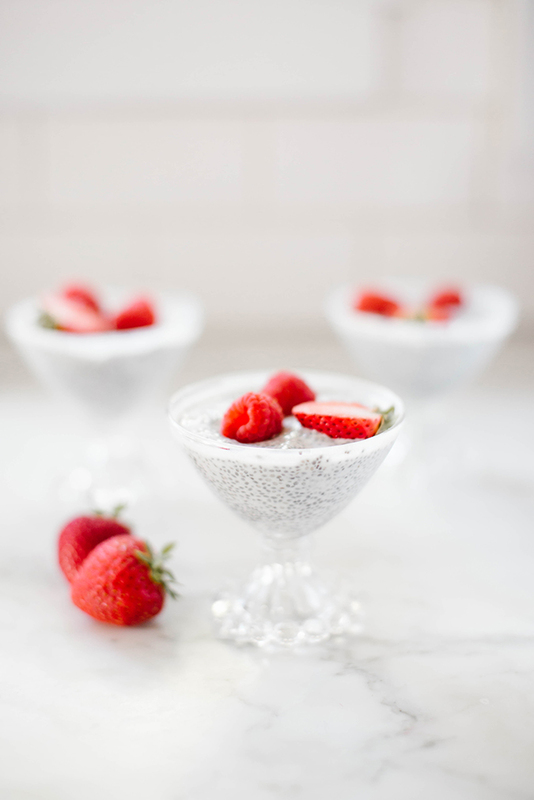 This Chia Seed Pudding is the perfect addition to your busy mornings. It’s quick, simple and packed full of delicious nutrition. Want to try it for yourself? See the recipe below, then tell us how you like it in the comments! 1. In a blender, blend your almond milk, Greek yogurt, strawberries, raspberries and vanilla extract. 2. Pour mixture into separate bowls or jars (we like to use mason jars that have screw-on lids), and whisk in the chia seeds and coconut shreds. 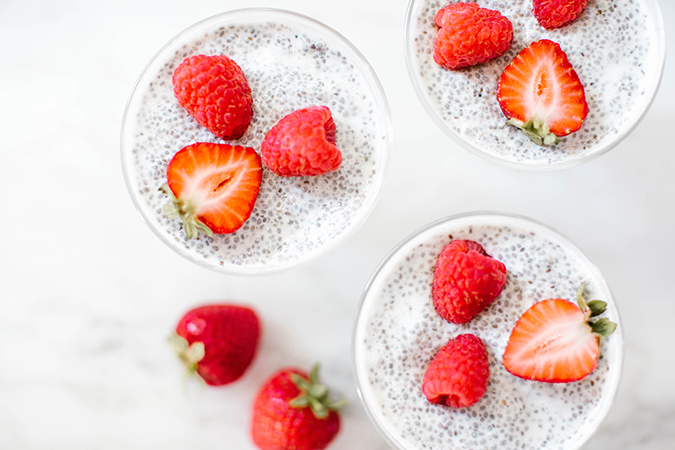 Let sit in your refrigerator overnight to allow chia seeds to absorb the liquid and create a pudding-like texture. 3. 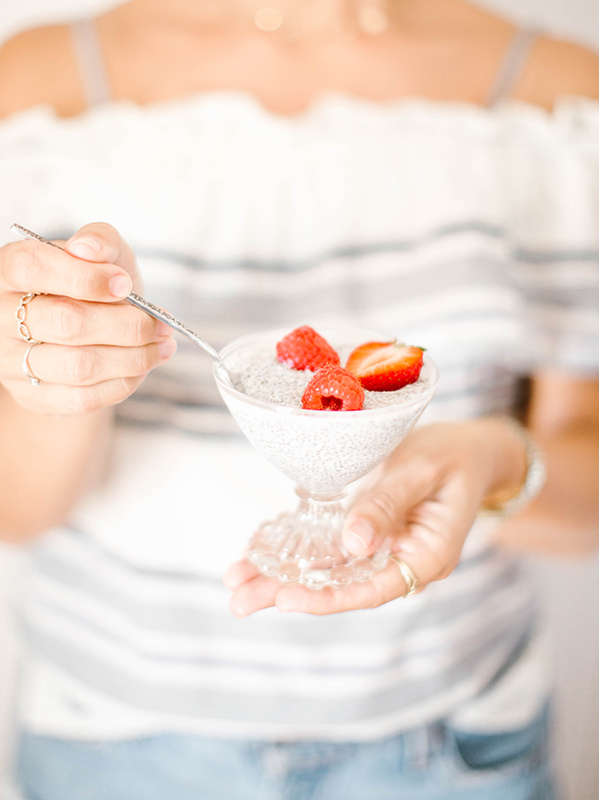 The next morning, remove your jar and top your chia seed pudding with additional strawberries, raspberries, coconut shreds, and any other topping you’d like. Enjoy! Are you as excited as we are to add this recipe to your morning routine? Tell us how you like it in the comments!